Each year, Florida Southern’s senior graphic design students are challenged to create a fictitious company. 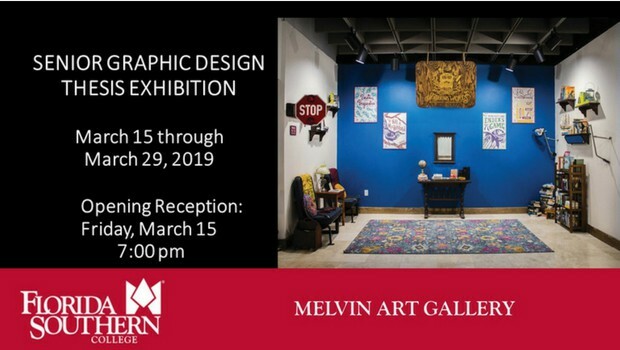 They are then responsible for creating its print and digital materials, products, and storefront displays in the Melvin & Burks Art Galleries as part of their thesis. At times humorous, clever, and surprising, the ideas presented by our students still maintain the professionalism needed to enter the Graphic Design Field. Awards, presented at the opening reception to our top three talented students. Opening Reception: Friday, March 15 – 7:00 p.m.